Did I say Apples, Pears and Tomatoes? You bet I did! 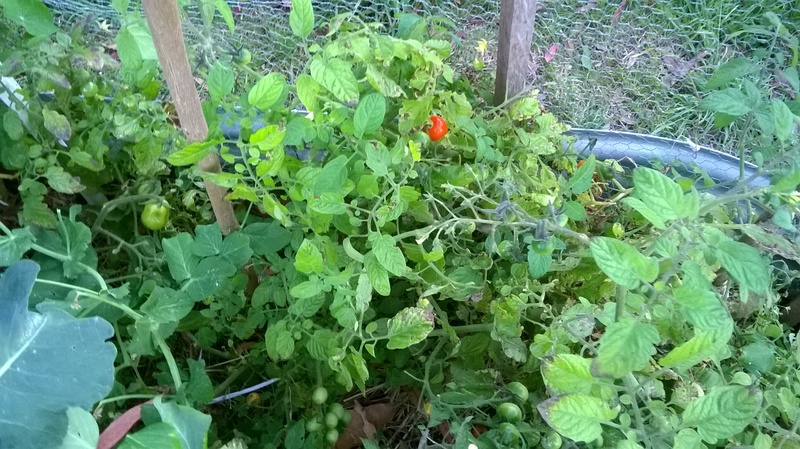 I have been harvesting cherry tomatoes, and I have to say that they taste so much better than the ones from the supermarket. The apples are so tasty and the pears are possibly the best I have ever eaten. Our apple trees are very productive, so much so that I will have to dehydrate some. This bountiful harvest has lead to some interesting meals… trying to make something with these ingredients. Mostly, I just add a couple of things to the meal, or to a desert. I even just throw a handful of Beans or Peas into a container and eat them while I am at work. 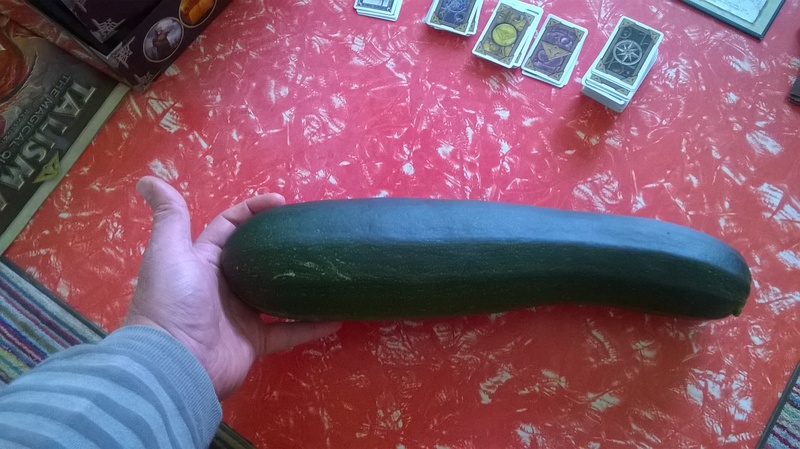 I actually took one of my zucchini into work, for a snack, and I showed to my friend Vee. 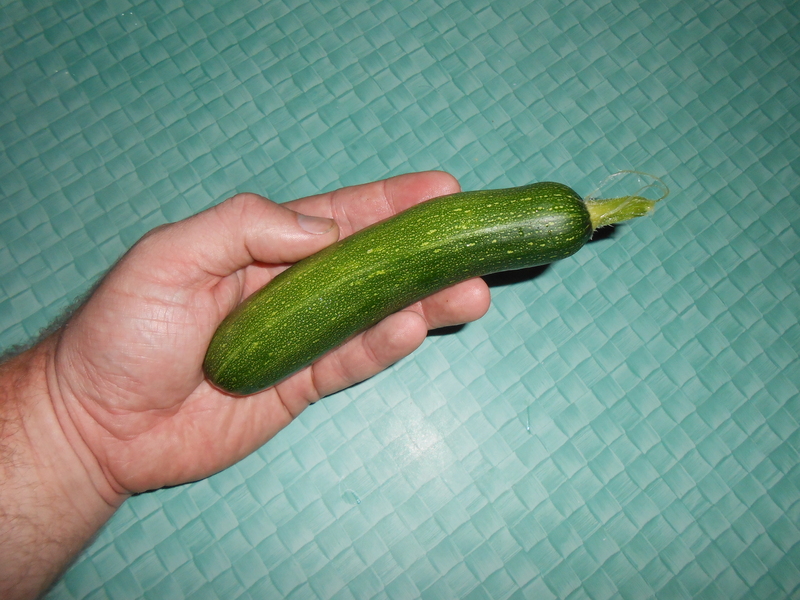 She brought one of her own in as a gift, and I have to say, I was very impressed with the size.